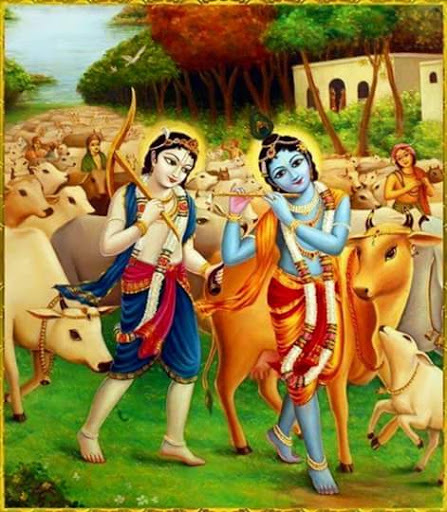 Krishna is very fond of cows. And cows give the miracle food, milk. When we are young children we depend on our mothers to supply us with milk. And when our mother stops providing us with milk we depend on the cows to supply us with milk. Milk enables us to grow healthy and strong and most importantly provides essential nourishment to the brain and develops the finer tissues in the brain that are needed to understand spritual life. So it is very essential that cows and bulls be completely protected. No society that kills cows and bulls will ever prosper. no juicy steaks from these cows!!!! Documentary investigating why the Hindus in India consider the cow sacred.